It is a common cry that the internet has changed everything and almost equally common to hear that it has transformed marketing. One person leading the charge to dedefine marketing in the technology age is Guy Kawasaki; formerly, and perhaps most famously, Chief Evangelist for Apple. 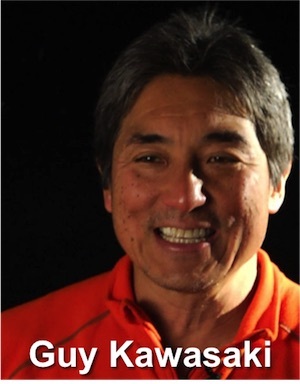 Guy Kawasaki was born in 1954, in Honolulu. He says of his school that ‘it is not as well known as its rival, because no presidents of the US went there’. However, it did allow him to study psychology at Stanford University, from where he went on to UCLA, after a week at UC Davis; starting Law School, but finding it wasn’t for him. After gaining his MBA at UCLA, his first job was in the jewellery trade, which taught him how to sell. Kawasaki’s next job took him into the milieu in which he has remained: the technology industry. It was when his employer was taken over, and he was asked to move to Atlanta, that he made the move instead to Apple, in 1983. There he took the role of ‘Software evangelist’ – his job was to convince developers to create products for a new computer that, at the time, had a tiny user-base, no backwards compatibility, and minimal sales. He stayed in this role for four years. His next role was leading a software business, creating products for a new computer… He says deprecatingly of himself that he believed his own hype, but for a while, the database software that Acius created was among the best for the Apple system. A spell of journalism followed (in the Mac arena) and then he collaborated to set up another software company. But in 1995, Kawasaki returned to Apple as their ‘Chief Evangelist’ charged with developing and protecting the brand. Leaving Apple again in 1997, he co-founded a technology venture capital business and gradually built up a wide portfolio of advisory positions with tech businesses. Indeed, he continued to found businesses too – most notably Alltop, and increasingly became a much in-demand speaker and author. He is currently Chief Evangelist at graphics and design software service company, Canva. The first thing to say is that Kawasaki’s ideas are not original, and I doubt he would claim it for them. His skill is creating a coherent narrative around ‘marketing by enchantment’ – using the ideas of soft influence to engage an audience and build a loyal customer base for a product or service. He himself likens the content of his book, Enchantment: The Art of Changing Hearts, Minds and Actions, to Dale Carnegie’s earlier book, How to Win Friends and Influence People. He also describes himself as the author of thirteen books, or of one book, written thirteen times. Be aware of this when shopping, as it does contain a grain of truth! 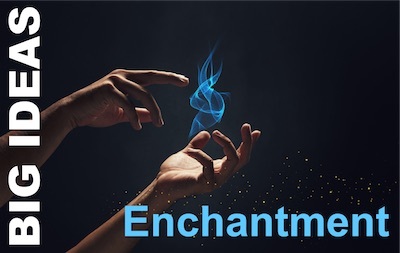 So how can you create enchantment? Greatness is about quality – you cannot truly enchant with a sub-standard product. If you want to enchant, you need to start with the passion to create a great product that people will crave, because it goes well beyond good: in Steve Job’s words; ‘crazy good’. Canva, with which he is currently associated, has been described as ‘the easiest to use design program in the world’. Whether or not you believe this is true, the fact that people with knowledge say this is a sign of its greatness (and it is pretty good – and free to use!). It is also an example of another of Kawasaki’s points: that a grand vision is not important, drawing the supposition that Richard Branson almost certainly had no concept of ‘Virgin Group’ when he started Virgin Records – he simply set out to create a great record label. For many years, Canva has been targeted at individuals; only recently has it started to create an enterprise level offering. 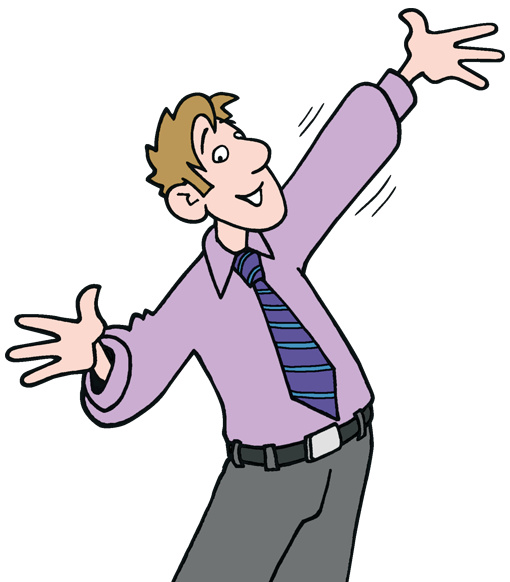 You need to make your product or service likeable, by being humble, generous, decent and doing what you say you’ll do. Answer your phones quickly, and do the right thing for people. Kawasaki is mistrustful of charisma and instead urges real engagement with customers and prospective customers. Show them courtesy and respect, and do nice things for them and they will surely come to like you and your brand. Long-term, likeability will turn into trust. When you continually delight with both the quality of your product or service and treat people exceptionally well, they will come to trust you. Once you have that, as long as you do not squander it, you have created real and valuable capital for your brand. I think you can see that none of this is revolutionary. So why is it important? It is important because it works, yet is not that widely acted upon. The burden of Kawasaki’s advice is honoured more often in the breach than the observance, as the vast majority of corporations continue to invest highly in traditional forms of marketing and advertising, which fail to respectfully engage with their markets. Why? I think because it is easier. I think that you can readily hire an agency for the one, but need exceptional individuals and exceptional commitment to ‘do enchantment’ well. Guy Kawasaki is a much in demand speaker. Here he is at TEDx talking about ‘The Art of Innovation’. This is one of my favourite TED talks with plenty of aha moments.